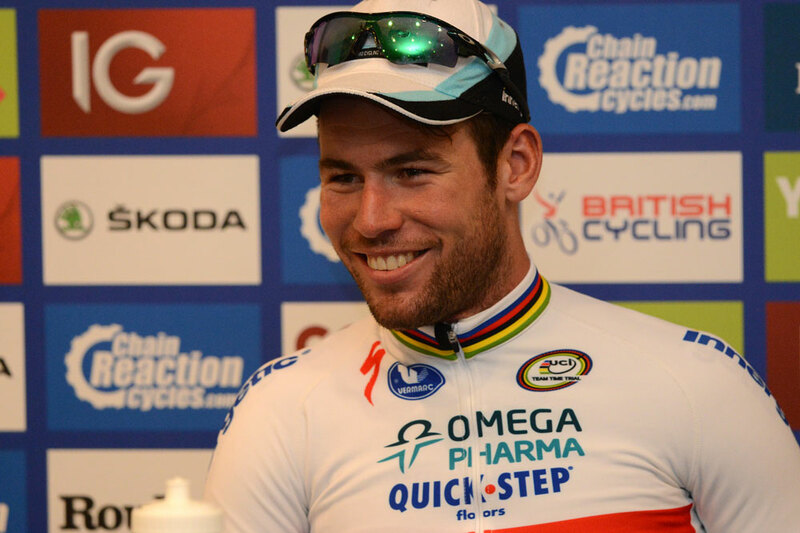 Mark Cavendish said he was honoured to win his record eighth stage of the Tour of Britain after taking victory in Llanberis this afternoon. This was Cavendish’s first win of the 2013 Tour, following two victories in 2007 and 2011 editions and three in last year’s race, and it moved him ahead of Edvald Boasson Hagen at the top of the all-time ranking. “It’s always nice to win in front of a home crowd and I’ve got a good relationship with the organisers and I’ve seen this race grow over the last 10 years,” said Cavendish, who beat Italian Elia Vivani (Cannondale) in the bunch sprint to the line. Despite taking in two second category climbs and the Pen-y-Pas ascent in the last 20 kilometres, Cavendish admitted he wasn’t surprised he was able to win here in amongst the Welsh mountains. “It’s not that hard really,” he said. A breakaway of 11 riders was outfront virtually all day before eventually being caught approaching the final kilometre, and despite losing the wheel of his new lead-out man Alessandro Petacchi shortly after, Cavendish was still able to lead the charge to the line. “We caught the break under the flamme rouge, and if you catch 11 riders on a seven metre-wide road it’s going to cause a bit of carnage,” he said. “He’s [Petacchi] really gelled with the team. We get on really well and he’s a true professional, he does everything for his bike. While Cavendish joked that his teammates had expressed their dislike to the unsettled British weather that has been present throughout the race, he said another win in Sunday’s final stage around London should appease them somewhat. “We were talking today it would be nice to get a win on Sunday then a few of us are staying in London and we can have a nice dinner in London on Sunday as well,” he said.